Item number 2878/53 from the MOA: University of British Columbia. 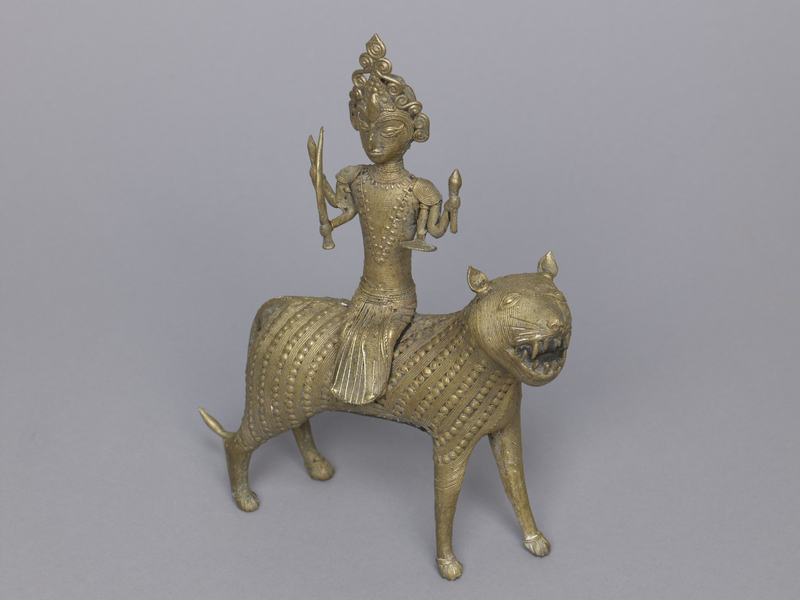 Metal figure depicting a four-armed human-like warrior goddess riding on the back of a large cat-like animal. 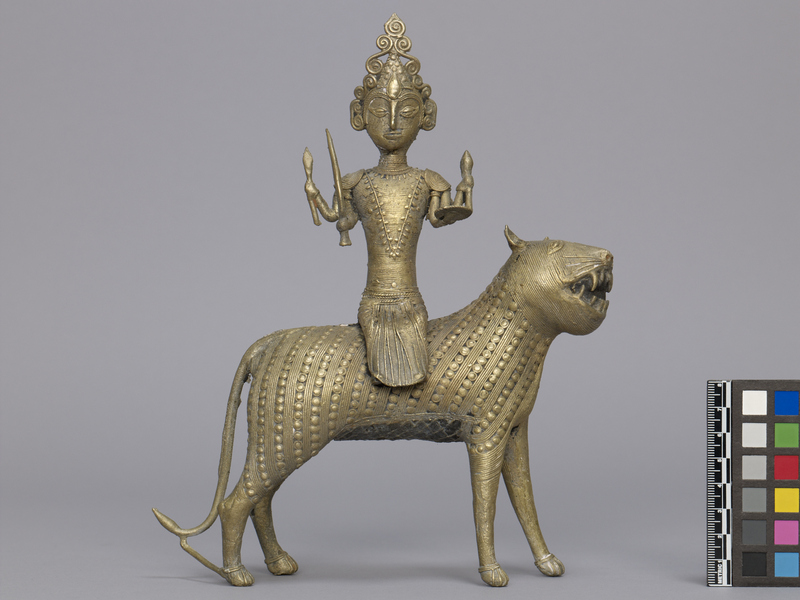 In her right hands she has a sword and arrow, while in her left hands she is holding a ‘chakra’ (discus) and a lotus or goad. The goddess is wearing a chain of leaves around her neck, as well as neck rings. She is also wearing a crown on top of her head, and a skirt. She has rings on her shoulders. The animal has pointed teeth, whiskers and pointed ears. On the body of the animal is a pattern of lines and dots. On the belly of the animal there is a cross-hatched design carved into the metal. Made with lost wax technique. 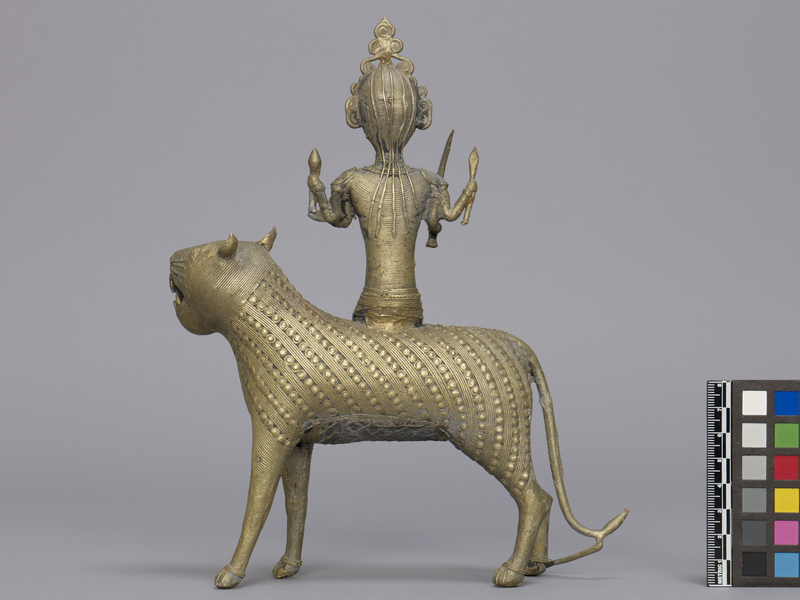 This piece was originally created to be consecrated in a Danteshwari Temple. In Bastar the festival of Dussara focuses on Sri Danteshwari Mai rather than Ram's return to Ayodhya. Danteshwari was the special goddess of the previous royal family of Bastar.